Mahjong Time - News New Release Planned for End of July! The Japanese Modern rules are renamed into Riichi Competition Rules. These Japanese rules and scoring have been changed radically. Now the EMA Riichi rules are used to play Mahjong. 6.Bonus markers for tied games or when East remains East. 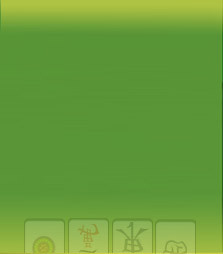 A player is not allowed to declare riichi if there are less than four tiles left in the wall. A concealed kong cannot be robbed, except to win on Thirteen Orphans. 27.Players is Furiten. Declare valid Mahjong on Last Discard. - There is a 5-point minimum limit for going out. - Concealed hand is re-defined and does not apply (add) to irregular hands (7 pairs and 13 Terminals). MT are the rules currently used on the site. WsoM represents how thew will be changed in the release. The Hong Kong scoring system was improved in order to give the better representation of the winning hand and combinations. The representation of the scoring patterns was improved in order to give the better understanding of the winning hand. New rule version – Taiwanese 16 tile Mahjong !!! The new rule variation named named Taiwanese 16 tile Mahjong will be available in the new version. The Taiwanese Mahjong is played using 16 Mahjong tiles and the winning hand consists of 5 combinations (chow, pung, kong) and the pair. The number of tiles used in the Mahjong set remains the same(136). Please refer to the rules and scoring to find out more. The Home Page and Jackpot screens in the Flash game are redesigned slightly. On the Home Page you can see the number of users playing different game types now. Whereas, on the jackpot screen you can see the number of users playing cash games, the number of games that were played this month and your position in the list of the Jackpot participants. The Open Tables and In-Play Tables are merged into one page names Games. This screen represents all tables. There is no scrolling. We use Rooms instead of scroll bars. Each page on the game screen represents separate room where you can find open, in-play and finished games. The "My Games" is added to the Games Screen. You can find all the games where you are player at the moment there. The "Create Table" window has two representations now. The default window contains basic options: Game Name, Game Type and Cash Game setting. Click Advanced Options to see all other options for creating the table. There is possibility to have more than one player services member online. In the Live Help window there will be possibility to choose the PS you want to contact. Technical Support is available too. After contacting the PS you can be redirected to the technical support representative if it is needed. When the game opens the scoring window at the conclusion of a hand for the first time, an online window pop ups and says "click on the players [here] to see their hands and scoring". We have 6 medals shown on user profiles that are not currently used. But they will be used! The users will earn the medals for different achievements. The first medals will be given to the winners of the best games of the month. Other medals will be given to the winners of different online and off line tournaments. The awards are shown in Flash on user profile as medals. When you move your cursor over the area, the description is shown as a tool tip in the proper language. "Only the Host Can Seat Players" table setting is disabled for Cash Games in this release. If the user selects "This is a Cash Game" the "Only the Host Can Seat Players" is automatically hidden and disabled. This will help to prevent collusion between players. Players can choose what Games Type they want to be invited to play. On the "My Account" page there is the list of checkboxes named “Invite Me to the games”. Select the Game Style and then check the “Cash Games” if you want to receive invites to the cash games. In case the "Cash Games" checkbox is disabled, you'll receive invites only from members of game from the selected Game Types. Disable all check boxes if you do not want to receive invitations at all. Example: If you Play HK and CO games only and do not want to receive invitations to other game styles, go to My Account, Select HK and CO and deselect all other game styles. You'll receive invitations only to HK and CO Members games. If you are cash player check the "Cash Games" button and you'll be invited to both Members and Cash HK and CO games. Find the game you were most recently playing in one click. In case you leave the game or have been disconnected from the site the, window with the last game you were playing will be shown and you can rejoin the game with one click. No more need to search for the game in the "Play Tables". Mahjong Time is now available in Japanese! Japanese fans and natives, Japanese speakers are welcome! All the rule sets, scoring patterns, FAQ and all other pages are now available in Japanese. Tournament pages are now available in all the supported languages (English, French, Spanish, Chinese Simplified, Chinese Traditional, Russian, Japanese ). Select the preferred language and read the rules, view tournament schedules, users seats and winners pages in this language. The tournament secure registration process is available in your language too. See the updated scoring and rules pages for the new Riichi Competition Rules (former Japanese Modern). The WSOM scoring pages are updated too. For PayPal the Subscription model is maintained on the PayPal system. The Subscription model is maintained on PayPal system. This is a payment solution for Chinese players.